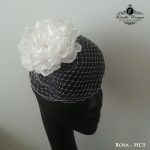 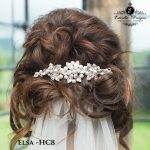 Product ID: 568 Categories: Hair Combs, Hair Vines. 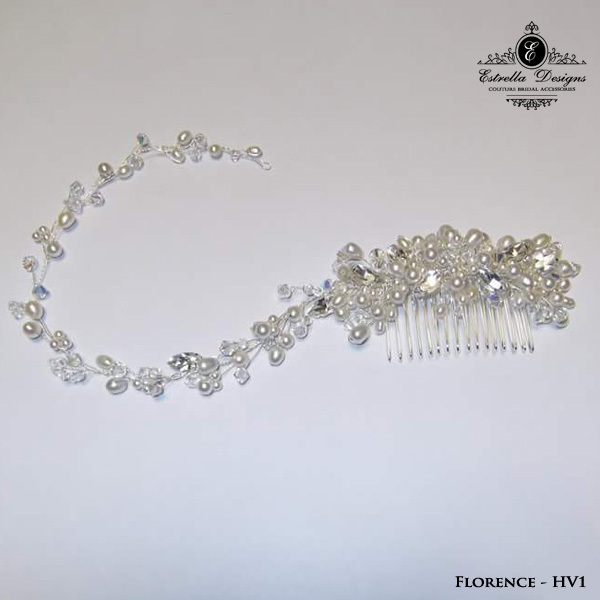 Tags: freshwater pearl, hair comb, Hair vine, Swarovski Crystal. 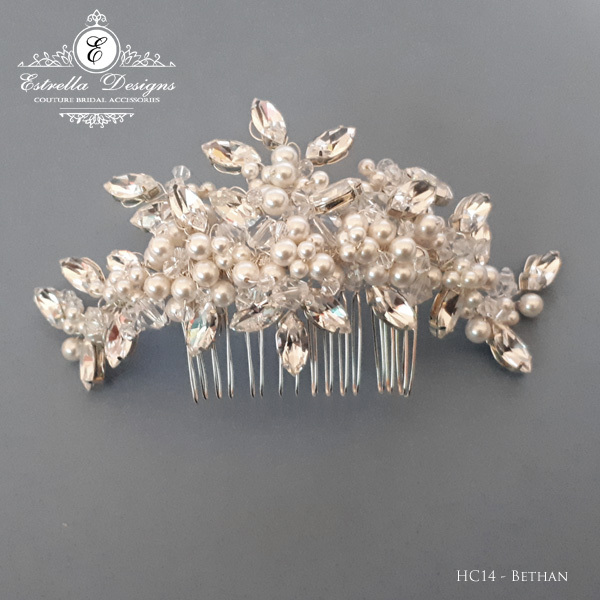 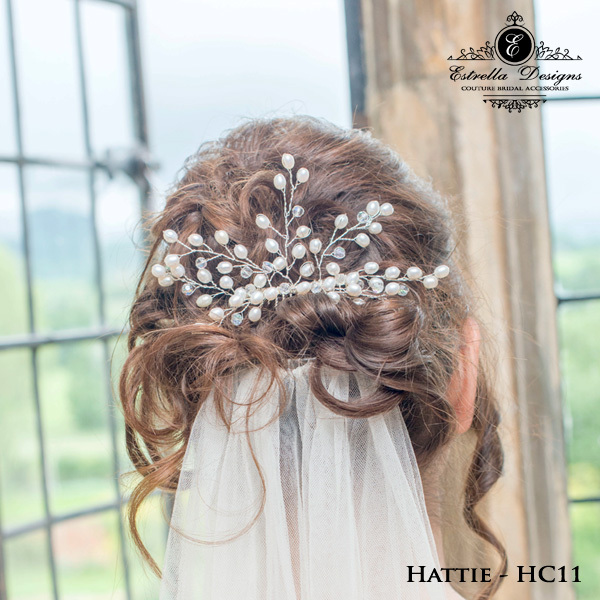 A fabulous modern cluster wedding hair comb with hair vine attached with lots of gorgeous Swarovski crystals, fresh water pearls & Swarovski crystal navettes. 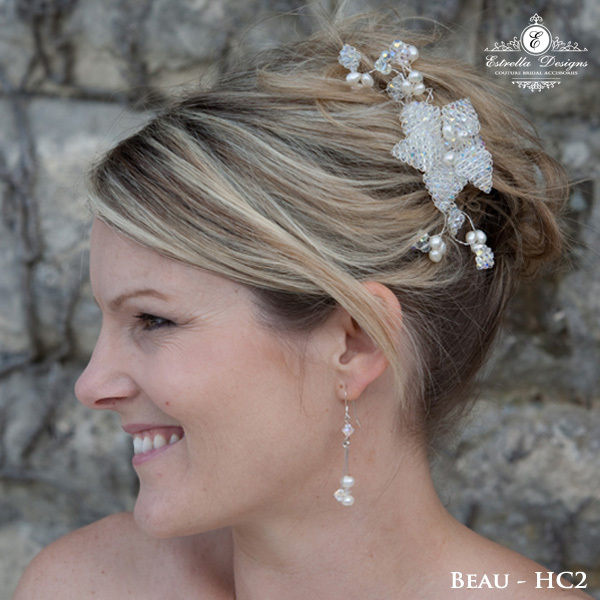 Set on a flexible yet strong tarnish free wire which can easily be shaped. 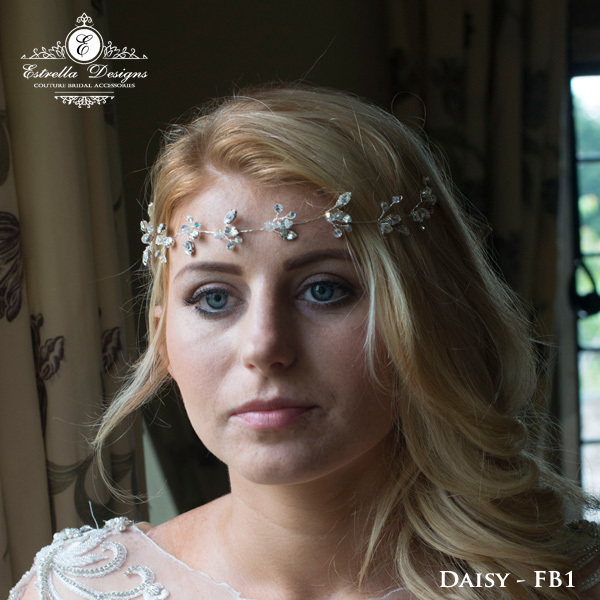 Fastens via a little loop on the end with a hair pin.